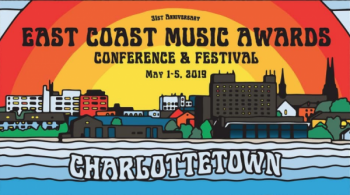 Congratulations to all of our 2019 ECMA Nominees! Congratulations to our Songcamp Family nominated for 2019 East Coast Music Association (ECMA) Awards! 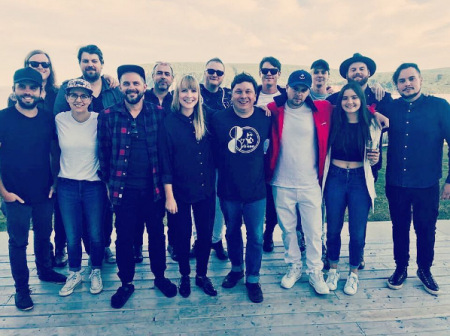 The 9th Annual Gordie Sampson Songcamp will take place this year from July 8 – 12 at the beautiful Keltic Lodge in Ingonish, Cape Breton. New songwriters this year are Mitchell Bailey, Cameron Nickerson, Maura Whitman, MAJE, and Makayla Lynn. 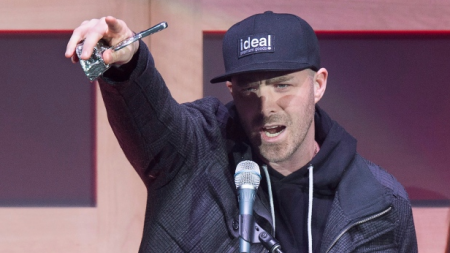 They will be joined by returning writers Jodi Guthro, Quake Matthews, Dave Sampson, Corey LeRue and Port Cities members, Breagh MacKinnon, Carleton Stone and Dylan Guthro. Award-winning producer, Tawgs Salter, and Nashville powerhouse writer and performer, Thomas Daniel, will join Songcamp this year as Gordie’s special guests. After four days of writing, Songcampers will perform a public concert at The Keltic Lodge on July 12 to showcase the new material written at Songcamp. Tickets for the concert go on sale on Friday, June 1st at the Keltic Lodge and Doucette’s Market in Ingonish. The Gordie Sampson Songcamp was conceived by Gordie Sampson, a multiple-award winning Canadian songwriter and artist, as a way to nurture young writers from across Nova Scotia, give them access to knowledge, and help them develop tools that will benefit their writing careers. Songcamp has launched and fostered the careers of a host of artists including Mo Kenney, Port Cities, Quake Matthews, Neon Dreams, Dana Beeler, and Nicole Ariana. The Gordie Sampson Songcamp is made possible through the support of the Province of Nova Scotia and Music Nova Scotia. 2018 Gordie Sampson Songcamp now accepting submissions! 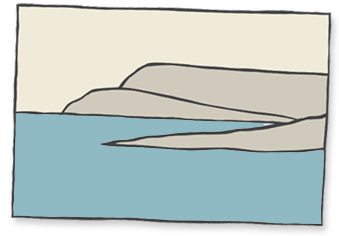 We are now accepting submissions for songwriters to attend the Gordie Sampson Songcamp, which takes place in Ingonish, Cape Breton on July 8 – 13, 2018. There is no fee to attend the Gordie Sampson Songcamp. Accommodations and meals are provided at no cost to the songwriters. Only successful candidates will be notified. Past songwriters include: Dylan Guthro, Carleton Stone, Mo Kenney, Breagh MacKinnon, Barbara Cameron, Elijah Wohlmuth, Natalie Lynn, Dave Sampson, Dana Beeler, Seamus Erskine, Willie Stratton, Laura Roy, Nicole Ariana, Kyle Mischiek, T Thomason, Reeny Smith, and Jahmal Wellington AKA Frank Kadillac, Corey Lerue, Quake Matthews. A Nova Scotia Music Week for the books! 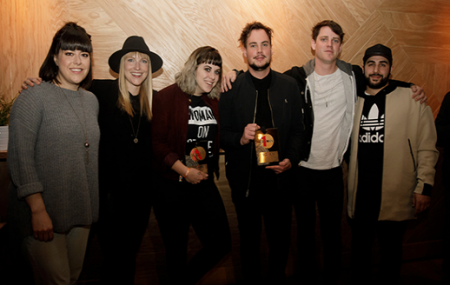 This year at Nova Scotia Music Week, Songcampers took home 9 awards! We are very proud that many songs on the albums recognized were penned and co-written at Songcamp, and so happy for the success of all campers nominated and recognized by Music Nova Scotia for their constant dedication to their craft, as well as those who rocked their showcases over the weekend! Another year – another amazing group of writers! The Gordie Sampson Songcamp 2017 – what a year! Thanks to Music Nova Scotia, Spincount, Bell Media and everyone who continues to make Songcamp a possibility and great success each year! Get your tickets for the 8th annual Gordie Sampson Songcamp Circle! 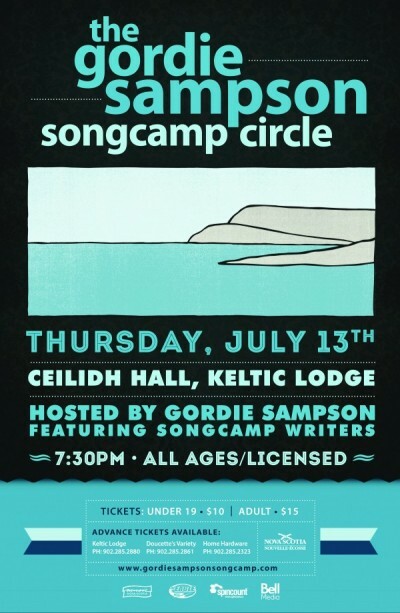 Join us Thursday, July 13th at the Keltic Lodge in Ingonish, Cape Breton​ for the 8th Annual Gordie Sampson Songcamp Circle featuring Gordie Sampson​, Port Cities​, Quake Matthews​ & many more!